This just needs to be said. A whole bunch of times. Greg Orman, the so-called independent candidate for U.S. Senate, is a Democrat. He may not call himself that, but if it looks like a Democrat, and talks like a Democrat... Quack. Quack. 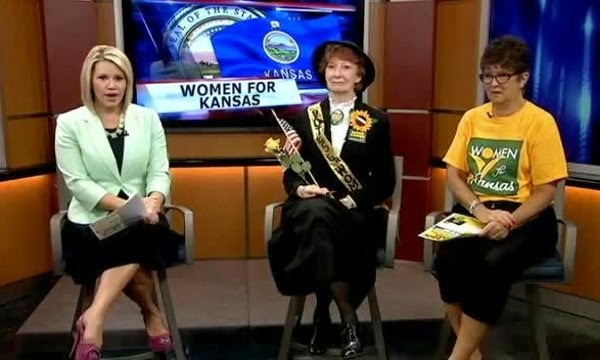 First, there's this nugget: Orman is headlining the laughable Women for Kansas conference in Wichita along with Paul Davis, Jill Docking, and Jean Schodorf -- all Democrats. Second, Kansas Democrats are endorsing him over Chad Taylor, the Democratic Senate candidate -- probably because there is no way on earth that a Democrat will win a U.S. Senate seat in Kansas. The donkey party hasn't put a Democrat from Kansas in the Senate since the 1930s. So yeah. Finally, his campaign staff is full of Democrats. There's Aaron Estabrook, for example. Estabrook hails from Manhattan, Kansas, where he recently ran for state representative as a Democrat. (Of late, he's started a little party called the "Moderate" party, probably because he recognized the absolute futility of trying to get Democrats elected in most parts of Kansas).